Purple Reign - From their naval prowess, to the creation of the alphabet, to their fashionable purple dye, the Phoenicians had a profound impact on the ancient world! 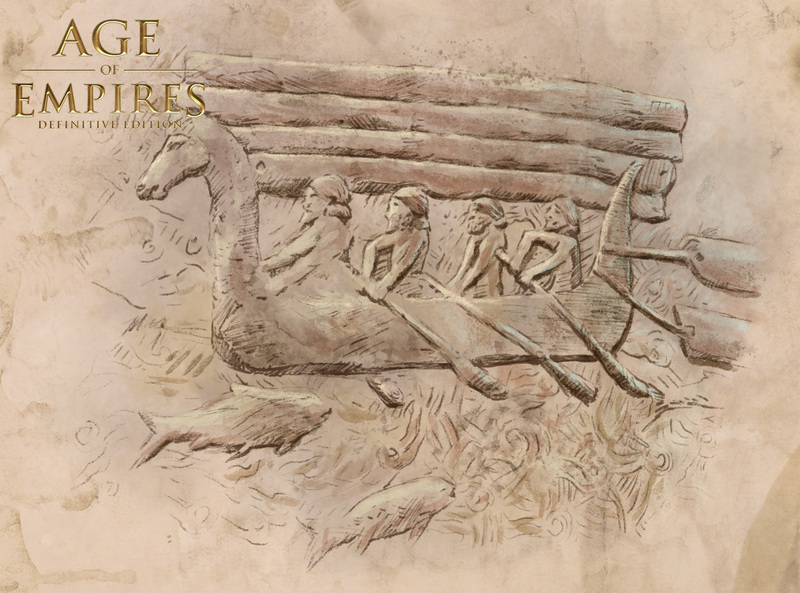 This illustration is of a gypseous alabaster frieze depicting a small boat transporting timber. It was discovered in the ruins of the Assyrian capital of Sargon II (722-705 BCE) in present-day Iraq; but now stands in the Louvre Museum (Paris, France). The horse-headed boat is most likely loaded with cedarwood—one of the biggest exports of Canaan (present-day Lebanon). The Canaanite/Phoenician god of the Sea—Yamm—was represented with the head of a horse; and Phoenician boats often had a prow with a carved horsehead. 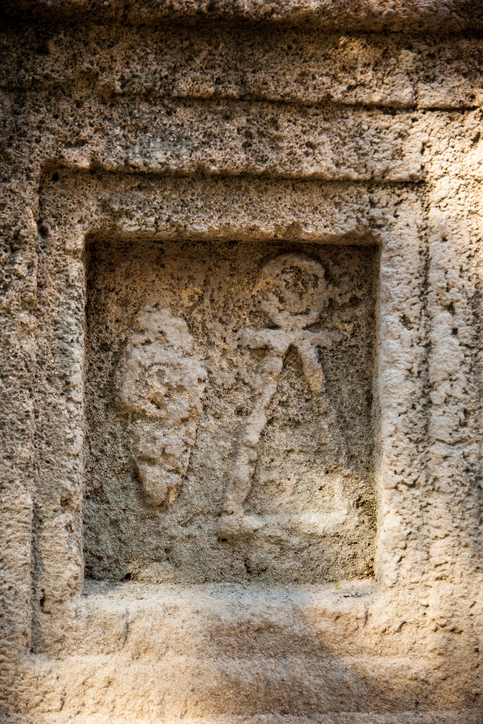 Phoenicians were perhaps the first mariners to adopt celestial navigation, charting their way across the seas using Polaris (the North Star) as a guide. The Phoenicians were the great mariners of the ancient world, and their thalassocracy (maritime realm) was organized into city-states akin to the Greeks. 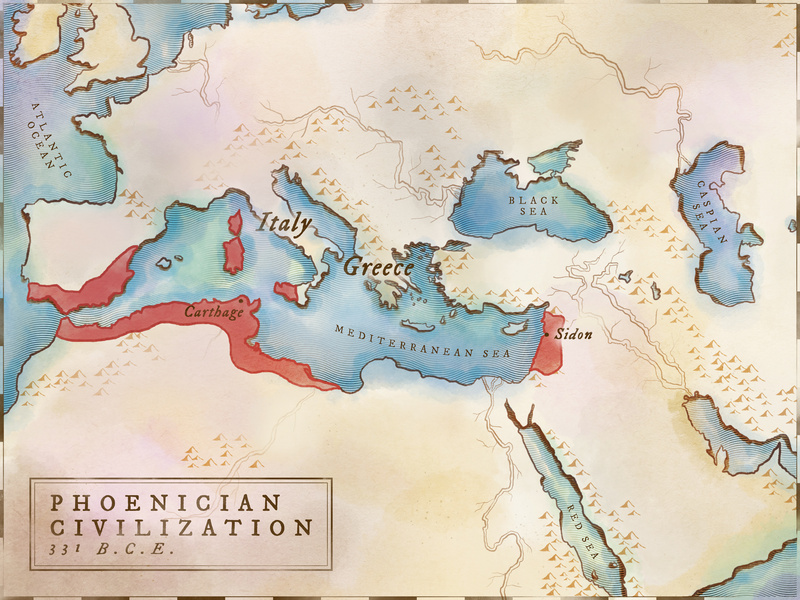 It is important to understand there was never a country or empire called “Phoenicia.” A possible origin of the historical name for this Semitic/Canaanite culture might have come from the ancient Greek Φοινίκη (Phoiníkē) meaning “Purple Land.” That is because the Phoenicians were famous in their own time for their dark purple dye—a rare and prized commodity. Inhabitants of the Phoenician city-states along the Eastern Mediterranean coast (like Sidon and Tyre) might have called themselves Kenaani (Canaanites); or with appellations relating to their particular city-states (e.g. 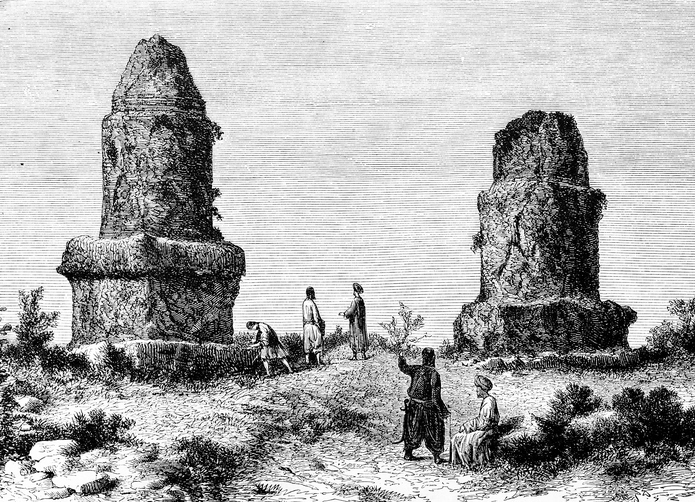 “Sidonians” or “Tyrians”). The Phoenician culture originated in the Eastern Mediterranean region of the Levant (Southern Syria, Lebanon and Northern Israel) in the 2nd millennium BCE (although this area had been settled since the Neolithic period). 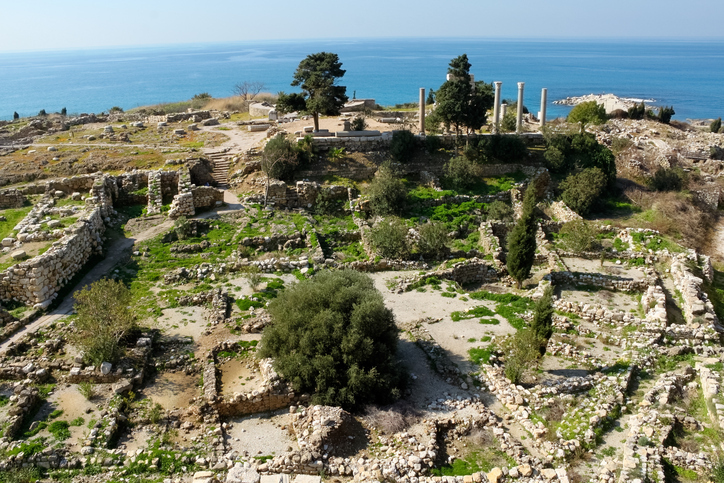 The Phoenicians founded the coastal city-states of Byblos, Sidon and Tyre (ancient Canaan). Over the centuries merchants and explorers from these city-states spread across the Mediterranean; and perhaps even navigated as far as the British Isles to bring back tin—a scarcity in the Mediterranean but a crucial ingredient, along with copper (from the island of Cyprus where the Phoenicians also had a foothold), for the making of bronze. The peak of Phoenician colonization took place in the centuries after the Late Bronze Age collapse of 1200 BCE (caused by the mysterious “Sea Peoples”) when the Levantine city-states took advantage of the power vacuum created by the sudden fall of several major civilizations (including the Mycenaeans, the Kingdom of Ugarit, the Egyptians and the Hittites). Two of the most dominant and influential of the Phoenician home citadels that rose to power after 1200 BCE were the abovementioned Sidon and Tyre. The greatest of all the Phoenician city-states, however, was Carthage in North Africa. 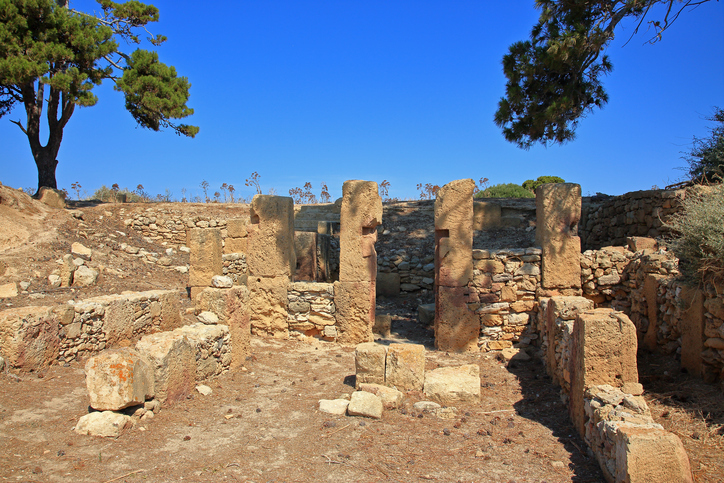 According to legend it was founded in 813 BCE by Queen Dido, and its name meant “New Village” (Qart-ḥadašt) in the extinct Phoenician dialect (Punic) of that city-state. 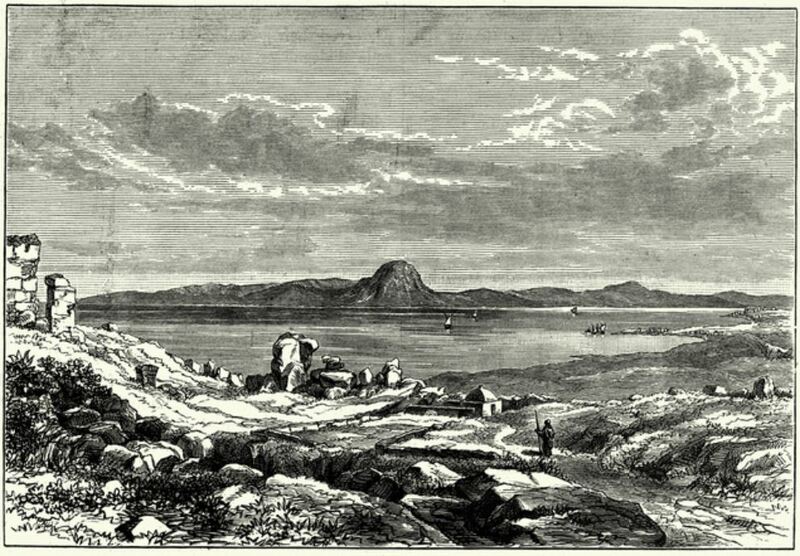 Carthage (Latin: Carthago) was destroyed in 146 BCE thus ending the era of Phoenician power and expansion. This crucial event serves as the endpoint in our History Date Range for this civilization, although remnants of the Phoenician culture lingered on long after the fall of Carthage. In the political and military void of the ensuing 400-year ancient Dark Age that began c. 1200 BCE, a small group of Phoenician traders from the Levant prospered and gradually expanded their influence across the Mediterranean. Instead of acquiring a physical empire of contiguous lands, they gradually built a large trading and colonial network from their home base of a few independent city-states along the coast of what is now Lebanon, Southern Syria and Northern Israel. Spreading westward, the Phoenicians founded colonies on Cyprus and in the region of the Aegean Sea (including the coast of Turkey); on the islands of Malta, Sardinia, Sicily and the Balearic archipelago; and in North Africa, Spain and Portugal (as well as other locations in the Mediterranean). The Phoenician culture was comprised of independent city-states sharing a Semitic language and a belief system originating in the Eastern Mediterranean. The most important of these earliest Phoenician city-states were in Canaan: Ṣūr (Tyre), Ṣīdūn (Sidon) and Gebal—called “Byblos” by the ancient Greeks—from which the Greek word biblos (book) was derived (eventually evolving into the English word “Bible”). These coastal cities were hemmed in on the inland side by the Lebanon Mountains. The only obvious opportunity for expansion and economic gain was by sea; and over the centuries the Phoenician trading posts and colonies spread west across the Mediterranean. 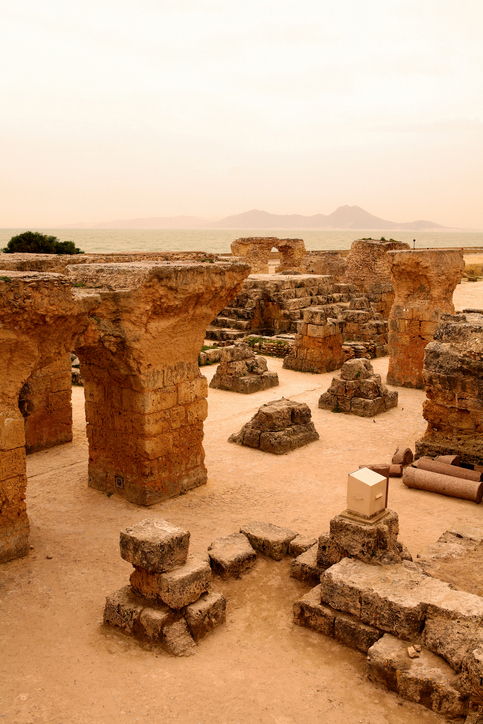 The largest and most prosperous of all the Phoenician-founded city-states was Carthage (in present-day Tunisia). 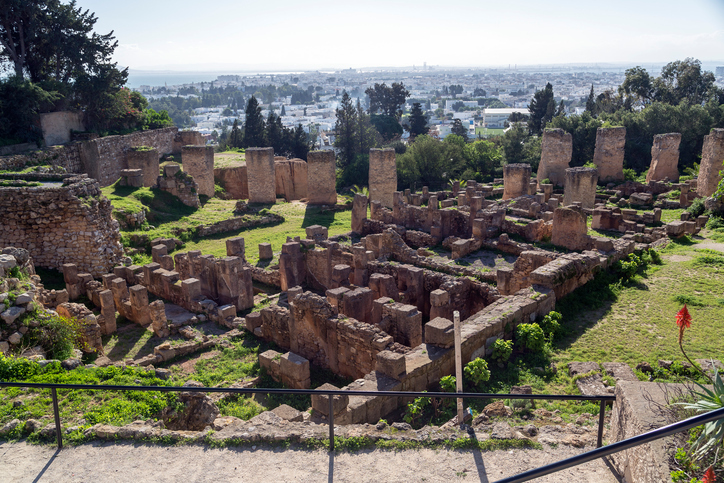 At its zenith, Carthage nearly conquered its greatest rival: The Roman Republic. Prior to the Late Bronze Age collapse of 1200 BCE (see Introduction), Canaanite traders had been restricted to the Levantine coast (modern-day Lebanon, Northern Israel and Southern Syria), Egypt, and the southern coast of Anatolia (present-day Turkey). The Minoans on Crete had blocked entrance into the Aegean, controlling all trade in that area, and perhaps even monopolizing trade further west. The Canaanite coastal towns were usually governed by Egypt, and one of their principal businesses was providing wood (the famed cedars of Lebanon) and provisions like wine to the Nile region. Minoan territory had been taken over by the Mycenaeans prior to 1200 BCE, and the subsequent fall of that culture during the catastrophic events at the end of the 13th century BCE removed most of the constraints on Mediterranean and Aegean trade for surviving civilizations. The Phoenicians were the most aggressive of those attempting to fill the void. Their cities were well positioned for this enterprise, being located literally in the center of the known world. The Aegean, Mesopotamia, and Egypt were all roughly equidistant to the west, east, and south. For any of the three regions to trade with another, the easiest route was through the Phoenician city-states. 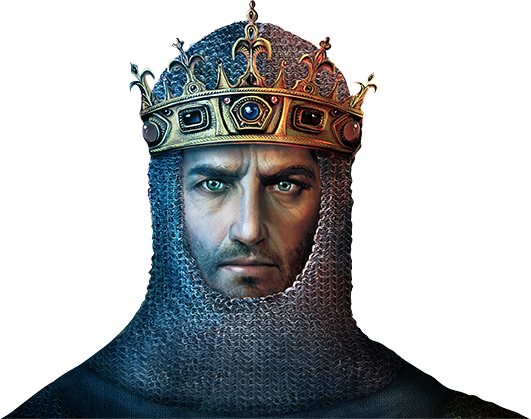 By the ninth century BCE, the ancient Dark Age was nearing an end. By now the Phoenicians were growing rich as traders, and this attracted enemies, principally the Assyrians and Babylonians. In the face of repeated assaults or heavy tribute payments, the Tyrians adopted the strategy of establishing colonies to the west. These settlements were removed from the grasp of their Eastern overlords, helping with the exploitation of metals and trade in the western Mediterranean. The most important Phoenician colony was at Carthage, established in the 9th century BCE. Other important colonies were in Sicily, Corsica, Malta, Sardinia, and Spain (modern Cádiz and Cartagena). Over the next 500 years, Carthage grew rapidly in size and power. Much of its wealth came from highly productive ore mines of Spain. Carthage fought for control of the Western Mediterranean first with the Greeks and then with the Romans. The early Phoenician economy was built on timber sales, woodworking, glass manufacturing, the shipping of goods (like wine exports to Egypt), and the making of dye. 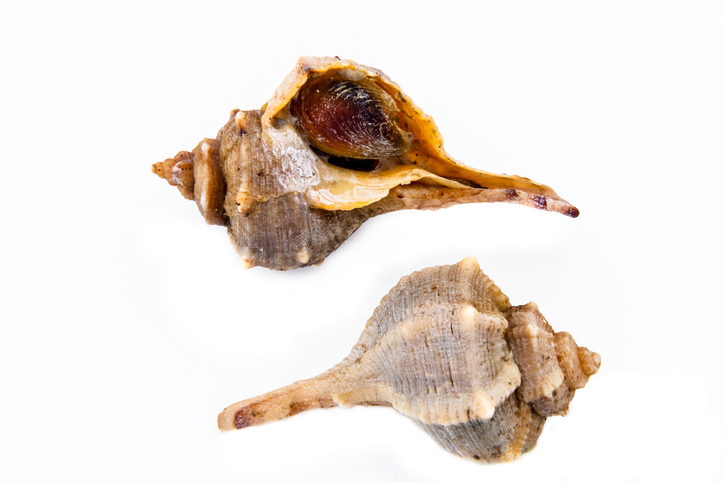 Phoenician dyes (ranging in color from a pink to a deep purple) were made from the secretions of the carnivorous murex sea snail. In Rome, this highly coveted dye was called Tyrian Purple (after the Phoenician city of Tyre where it was made) and it was worth (quite literally) more than its weight in gold. By fortifying strongholds in Sicily and North Africa, the Phoenicians effectively denied other traders access to the riches of Spain (silver and other ores), the West African coast (gold, exotic woods, and slaves), and Britain (tin, a crucial strategic resource required to make bronze). The ancient Greek historian Herodotus wrote that, in bygone days, the Phoenicians taught the Greeks of Boeotia the writing system that would eventually become the Greek alphabet. He also noted that Phoenician traders brought frankincense to the Aegean; and taught the Greeks the word for an exotic spice: cinnamon. The Phoenician religion was polytheistic, and their gods required sacrifices to forestall disaster, especially Baal, the God of Storms, and his consort Tanit. The Bible, Roman and Greek accounts tell of child sacrifices practiced regularly by the Phoenicians, which many modern historians believed were merely an ancient form of anti-Phoenician propaganda. But macabre Phoenician cemeteries (tophets) have been unearthed containing multiple funerary urns holding the remains of infants. These urns have stelae (slabs) bearing inscriptions praising the gods—inscriptions that some historians argue prove the children contained within had been willingly sacrificed to deities. The veracity of child sacrifice in ancient Carthage, however, is still hotly debated amongst scholars. We might never know if the tophets contained the remains of children who died of natural causes, or the pitiful bodies of sacrificial victims. Most of the information we have about Phoenician government comes from contemporary accounts of the Carthaginians. Their system can best be classified as a sort of oligarchical republic. 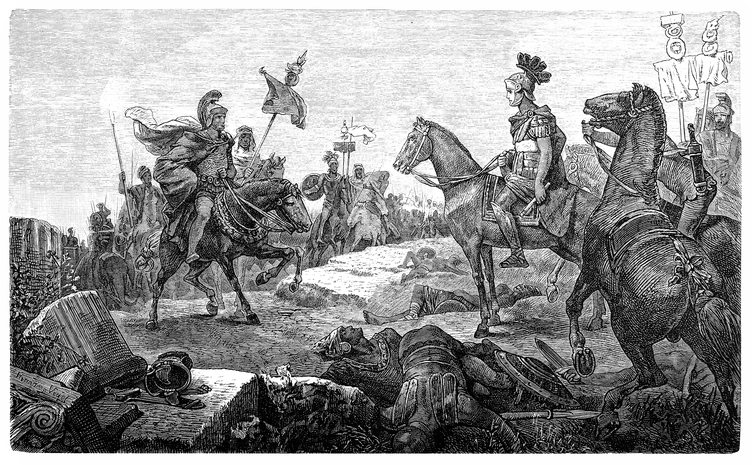 Two chief magistrates called suffetes were chosen by the noble families (or perhaps elected by a popular vote) to preside for one year over a Senate made up of the Carthaginian aristocracy. 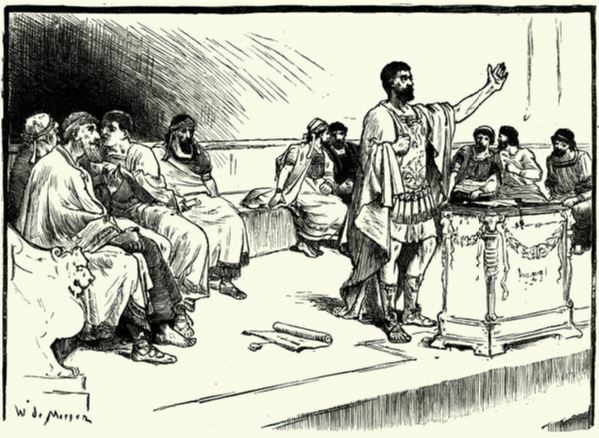 The Senate, a body that was beholden to the fundamental dictates of the constitution, was responsible for drafting new laws, handling foreign affairs and finance; and instructing appointed military leaders like the powerful Hannibal Barca (who was dramatically recalled from his campaign in Italy by the Carthaginian Senate after the Romans invaded Africa). 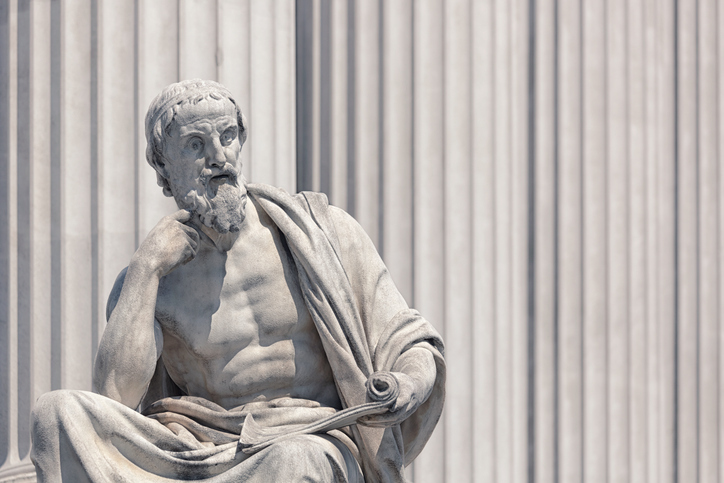 While Greek and Roman writers sometimes characterized Phoenicians as wily or cunning, many agreed that the Carthaginian constitutional system was excellent and even (according to Aristotle) “superior” to other nations. There is little archaeological evidence revealing the architecture of the Phoenicians (compared to their contemporaries the Greeks or Romans) because so many of their cities were destroyed in ancient times and now lie buried under modern structures. What we do know is most Phoenician citadels were situated on coastal promontories near salt flats or lagoons. An artificial protected inner harbor (called a cothon) was a unique feature of many Phoenician city-states; and the most famous of these man-made harbors was built in Carthage. Phoenician cities were usually surrounded by curtain walls protecting urban areas, sanctuaries, public buildings and workshops. 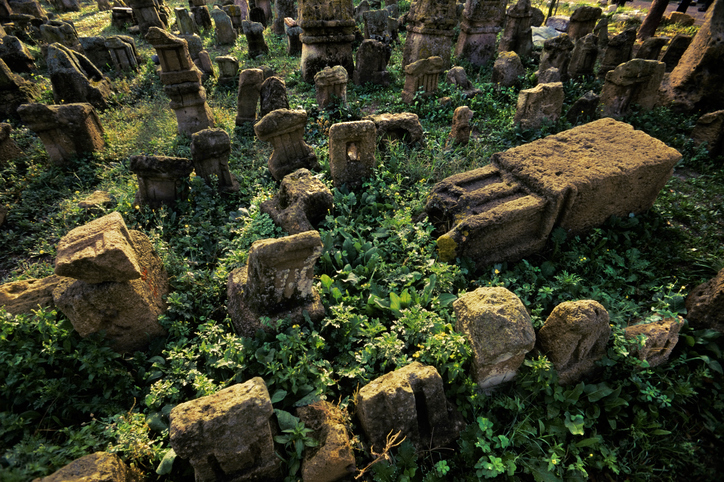 The city’s necropolis (cemetery) was located outside the bastions. 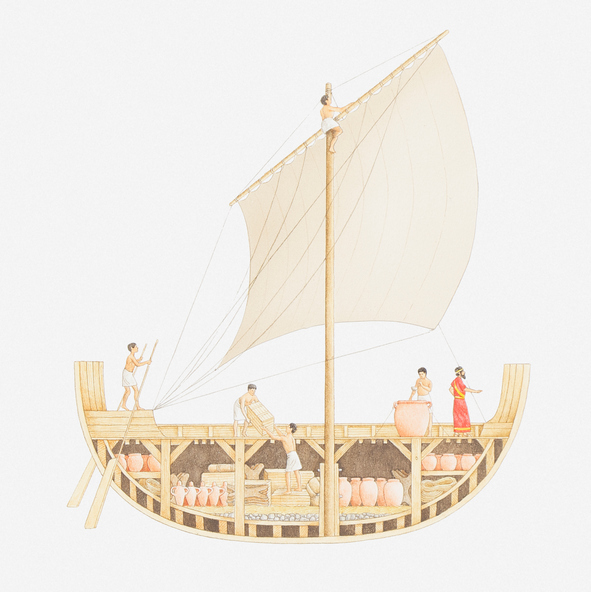 When the Phoenicians began competing with the Greeks for trade and colonies, the contest led to what might have been the construction of the first ships built expressly for war. These were rowed galleys armed with a large metal spike or beak-shaped ram at the front and carrying marines for boarding parties. Sea warfare grew in importance during the fifth century BCE, when Persia fought the Greek city-states for control of the Aegean, Western Anatolia, and the Eastern Mediterranean. During this era, the Phoenician cities were under control of Persia, but were granted much more freedom than they had previously held under the Assyrians or Babylonians. 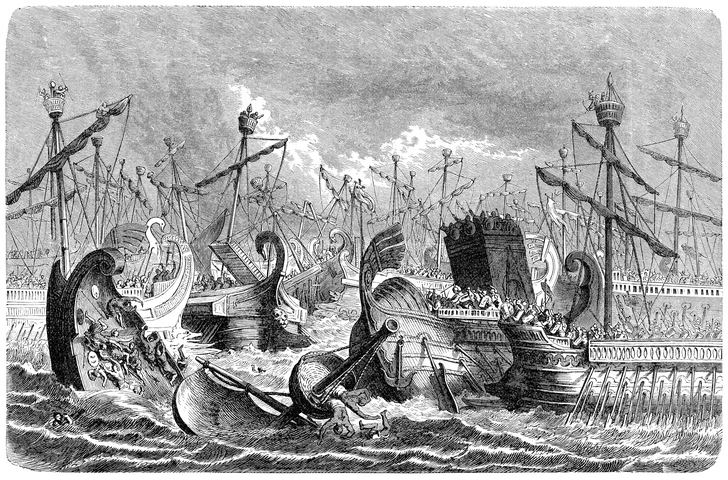 Phoenician ships made up the bulk of the Persian fleet that was defeated by the Greeks at the massive sea battle of Salamis in 480 BCE. Phoenician galleys of the time were larger and less maneuverable than their smaller Greek counterparts, and this was a fatal shortcoming in the restricted waters of the Saronic Gulf. 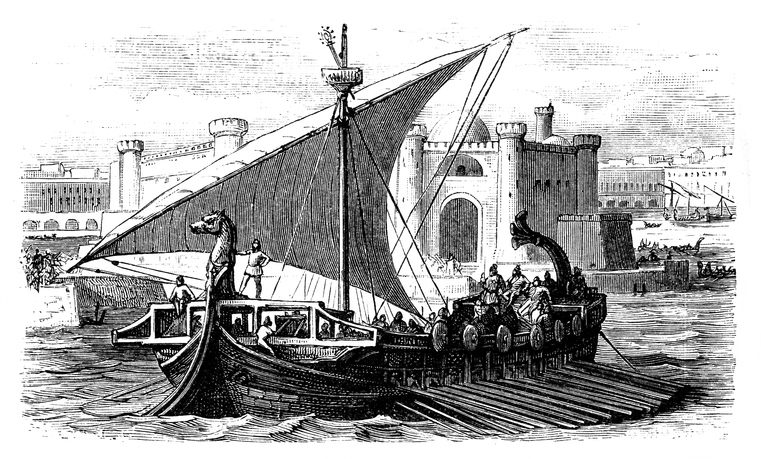 The Carthaginian navy dominated the early Punic Wars with Rome, but the Romans captured a Carthaginian ship that went aground and built duplicates (a sort of ancient version of industrial espionage). The Romans eventually cleared the Mediterranean of Carthaginian ships and carried the wars to a successful conclusion in North Africa. 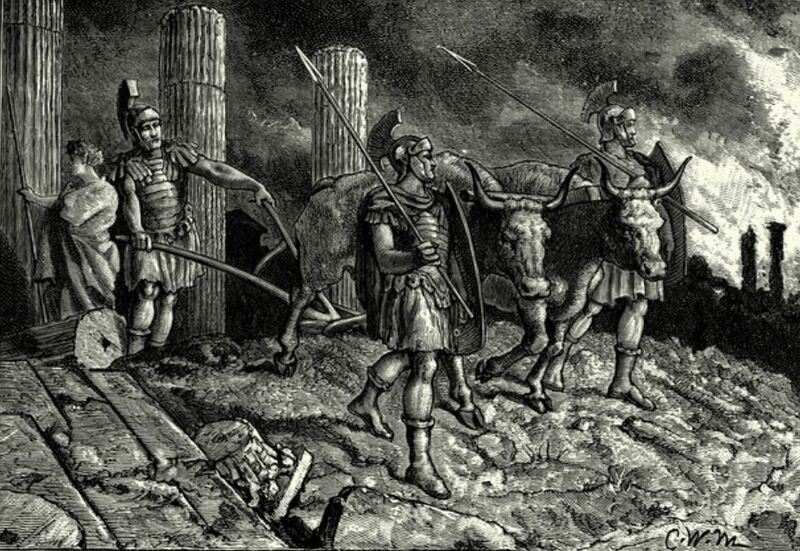 The Carthaginians had the only significant land army that can be considered Phoenician in derivation, famously utilizing elephants as shock units. The Phoenician home city-states were periodically under the thumb of one Eastern conqueror after another from roughly 900 to 332 BCE. They were never strong enough to hold off the powerful armies from Assyria, Babylon, and Persia (although they were often rich enough to buy them off). 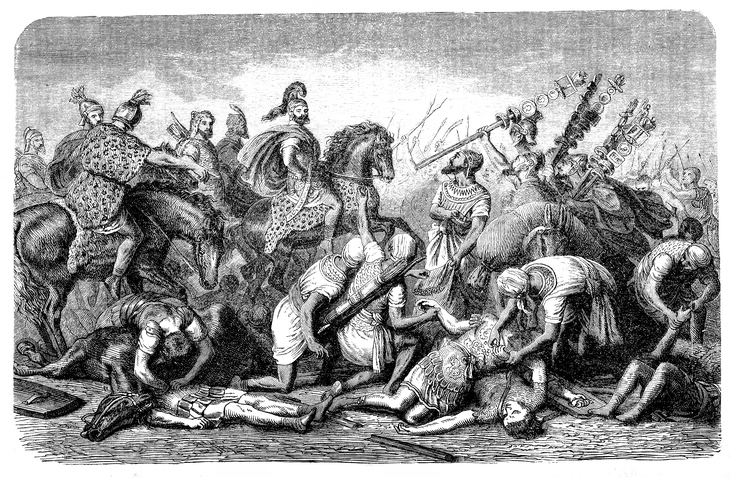 Beginning in 334 BCE with the siege of Tyre, Alexander the Great took the Phoenician city-states in the Eastern Mediterranean one by one, ending their on-again, off-again independence. They became Macedonian/Greek and lost their identity as Phoenician. The oldest continuously inhabited city in Spain is the southwestern port of Cádiz. 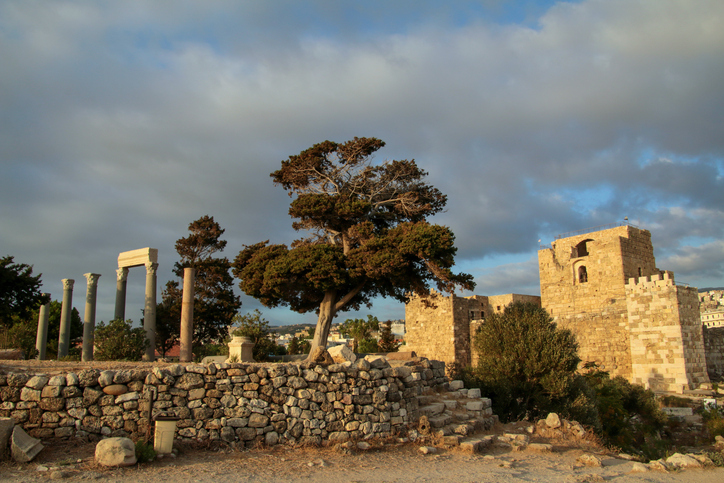 It was founded by Phoenician traders from Tyre at the end of the 12th century BCE. These life-size sarcophagi, carved from white marble, date from the 5th century BCE and show a distinct Greek influence in their style. 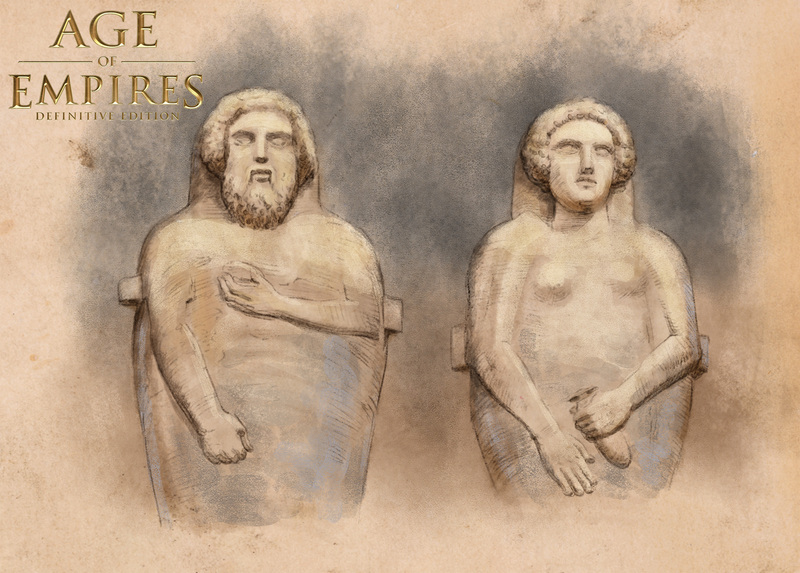 They are similar to sarcophagi found in the Phoenician city of Sidon (near Tyre), and would have been made for a wealthy man and woman of Gadir (the Phoenician name for Cádiz). The male figure in this illustration, holding a pomegranate in his left hand, was uncovered in the city’s shipyard in 1877 CE, and its discovery led to the founding of the Museum of Cádiz with the sarcophagus being its first acquisition. The pomegranate, featured prominently in the tale of Demeter, was the fruit of the Underworld in Greek mythology. The female figure holds an alabastron—a container used for perfumed oils. Perfume bottles like this have been frequently unearthed in Greek graveyards. Phoenicians were revered as great mariners by their contemporaries. 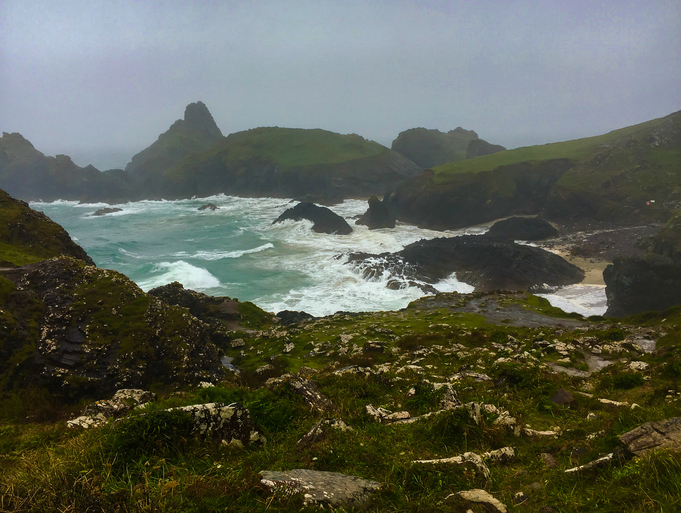 They are believed to have been the first Mediterranean culture to reach Britain. According to tales reported by the ancient Greek historian, Herodotus, a Phoenician fleet—commissioned by the Egyptian King Necho II—circumnavigated Africa around 600 BCE; but Herodotus did not think this tale was true. 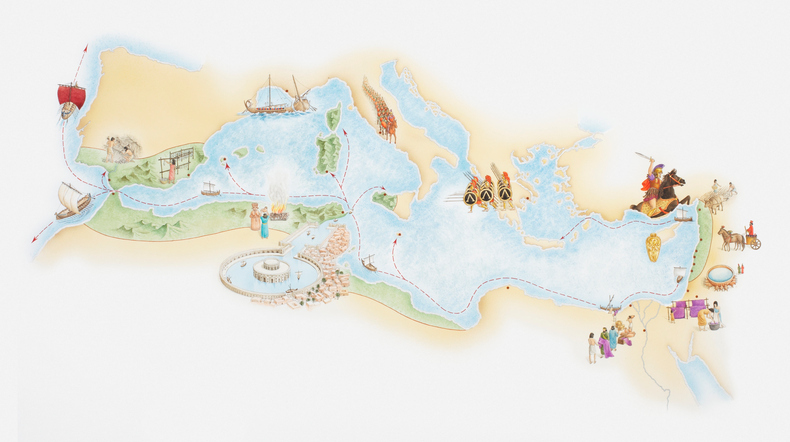 Modern analyses of Herodotus’s description of the fleet’s journey, however, appear to prove the Phoenicians did indeed accomplish this feat, making them the first people to voyage around the entire coast of Africa. The most important Phoenician contribution to Western civilization was their writing system that evolved from a North Semitic proto-alphabet. 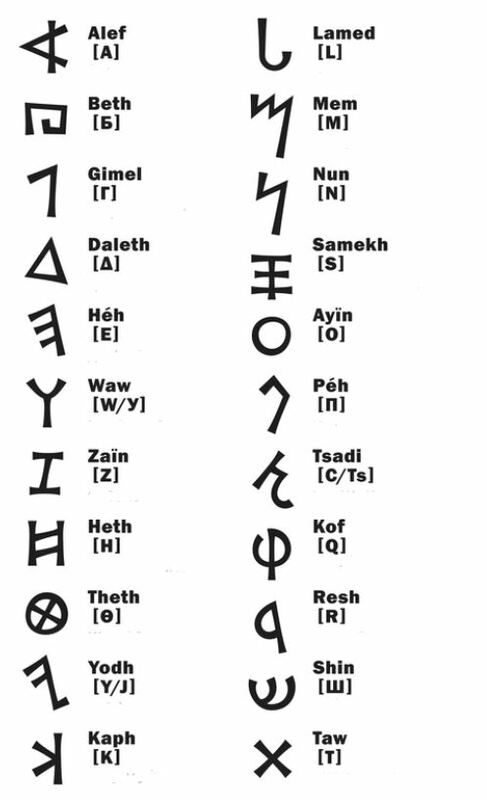 In the Phoenician alphabet (also called the Proto-Canaanite alphabet) each letter represented a consonant. This cut down significantly the number of symbols required to make words. (When written, the vowels were implied.) Later advances by the Greeks added symbols for vowel sounds, creating the first complete alphabet. From port to port, they spread this alphabet across the Mediterranean. When further refined and propagated by the Greeks and Romans, it became the alphabet used today by most Western cultures.